Getting the closest possible shave with an electric razor is something that pops up in pretty much every discussion related to electric shaving. And there’s really no surprise in that; we all just want a close and comfortable shave. Switching to an electric shaver also implies some sort of a compromise; we’re trading off a bit of closeness for the added benefit of comfort and practicality. Naturally, we’re interested in trading off as little as possible from that much sought after closeness. Luckily, today’s modern electric razors are capable of providing very close shaves while still remaining adequately comfortable. Which electric shaver gives the closest shave? Well, when it comes to closeness, the more advanced, powerful shavers will usually provide significantly better results and we’ll be taking an in-depth look at some of the razors that offer the closest shave later on in this article. A high-quality shaving head. This is by far the most important component of an electric razor and is particularly relevant in the context of closeness; sharp blades and an advanced micro-foil, machined with very low tolerances, are vital for a close shave. A powerful motor. An electric razor that is fitted with a more powerful motor will shave closer, faster and with greater comfort. As an example, Panasonic uses for its top of the line razors very fast 14 000 CPM (cycles per minute) linear-drive motors. Compared to entry-level, basic shavers that use 8000 CPM units, the difference is night and day. Low heat dissipation during use. A razor that is comfortable during use will also allow you to shave closer, do more strokes and even apply a bit more pressure. Comfort is tightly correlated with the heat caused by the friction between the blades that operate at high speeds and the foils. Therefore, you’ll want a razor that remains reasonably cool during operation. Foil vs Rotary — which one shaves the closest? 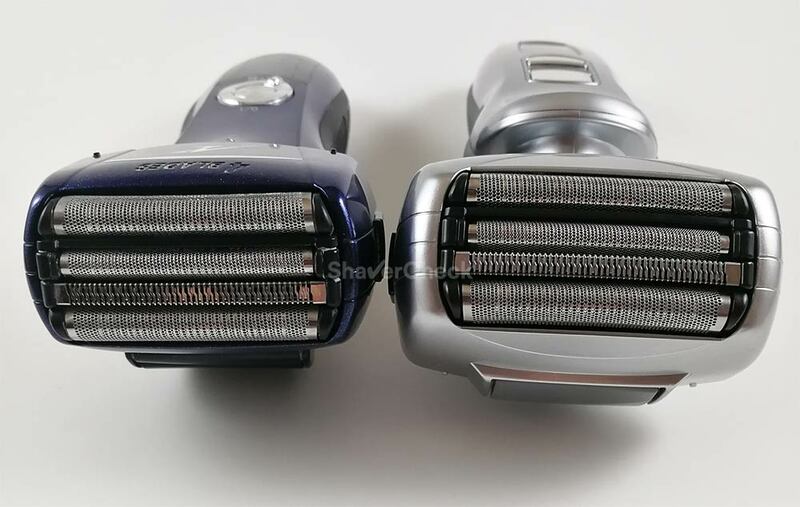 While the foil vs rotary polemic is multifaceted with solid arguments from both sides, when it comes to the closest shave an electric razor can provide, it is generally accepted that foil razors are better. This is also my personal stance on the matter. Having used quite a few foil and rotary razors throughout the years, I constantly found foil shavers to be that much better at providing a closer shave. The micro-foils are thinner than the metal guards used on rotary shavers, meaning that the physical barrier between the skin and the actual cutting blades is smaller in the case of foil shavers, allowing a closer shave. They use reciprocating blades that oscillate at much higher speeds; as a downside, this also means more noise during operation compared to rotary shavers and possibly more heat generated by the friction between the foils and blades. The actual design and operation of the foil razor; the straight cutting edge and the use of short strokes allow more control and precision. There are of course men who get better results using rotary shavers. In the end, it all comes down to personal preference and anecdotal findings should not be regarded as absolute truths. Let’s now see which electric shavers will give you the closest shave. What are some of the closest shaving electric razors? Panasonic electric razors represent a very solid option if you’re mainly concerned with shaving performance. In my experience, they even manage to outperform the other big name in the foil shavers camp (Braun) if we consider strictly the closeness of the shave. If you want the absolute best in terms of closeness and budget is not really an issue, then look no further. The ES-LV9N-S Arc 5 represents the latest and greatest (well, not quite THE latest anymore) from Panasonic and is probably the electric razor that can get as close to a blade as possible with the current technology. The shaving head can also be depressed; this, combined with the 360-degree swivel makes this razor extremely adaptable and capable of maintaining constant contact with the skin, even when shaving difficult areas like the jawline or the neck. The aesthetics and build quality of the razor compared to previous Arc 5 models are also vastly improved, with the use of more upmarket materials and a classy color scheme. The massive head with its 5 cutting elements is able to effortlessly shave close to the skin even the coarsest facial hair. The middle trimmer and the two flanking foils are designed to cut longer hairs that lie flat on the skin, reducing them to a more manageable length for the two outer finishing foils. The comfort rollers ensure a smooth and gentle glide of the shaver, improving the comfort of previous Arc 5 razors. This makes the ES-LV9N-S also somewhat suitable for men with sensitive skin. While shaving is a very personal matter and the results depend on many factors, I think it is safe to say that the ES-LV9N-S Arc 5 probably shaves closer than any other electric razor you can currently buy. The ES-LV9N-S variant also comes with a cleaning & charging station. While Panasonic’s cleaning stations aren’t absolutely necessary, they can be useful if you want a complete fuss-free experience. The only downside of this Arc 5 razor is the price; being a new model, it is rather high. The same goes for the replacement foils and blades, which cost quite a lot at this moment. But again, if the purchase price is not a constraint and you want the closest shave of any electric razor, this is the one to have. The Panasonic ES-LV65-S Arc 5 is a more budget-friendly, but still very capable razor from the second generation Arc 5 line of shavers. 14 000 CPM linear-drive motors that provide plenty of cutting power at a constant rate. All these features work together seamlessly to ultimately provide an extremely close shave. My personal pick from the previous Arc 5 line has to be the ES-LV65-S as it offers the best performance for the price. The ES-LV65-S is part of the second generation Arc 5 that paved the road for the latest ES-LV9N-S presented above. However, they are very similar specs-wise and the ES-LV65-S is still a highly capable machine today, definitely one of the best electric razors for getting a really close shave. While the comfort of the newer ES-LV9N-S Arc 5 is slightly superior, this razor will be more than adequate for most men looking for a very close shave at a more affordable price. The performance is pretty similar throughout the Arc 5 family of shavers and picking one mainly comes down to your budget and the need for a cleaning station. Speaking of which, my recommendation would be to skip it altogether as Panasonic foil shavers are dead easy to clean manually. By going for a shaver without a cleaning station like this ES-LV65-S you’ll also be saving some money. Being an older model, it’s likely to be found at an excellent price. For more details you can check out my complete Panasonic ES-LV65-S review. If your budget is limited, but still want the closest shave for the money, you’ll have a hard time finding a better razor than the Panasonic ES-LA63-S Arc 4. 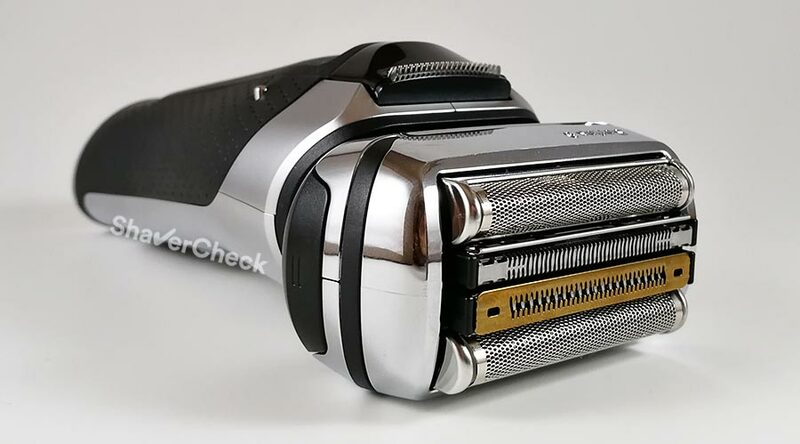 Considering its price, the performance of this particular shaver is quite spectacular. I can only attribute this to the fact that it incorporates some of the technologies found on the much more expensive razors from Panasonic, like the ones presented above. A second motor located in the shaving head that vibrates and helps capture longer hairs. The result of these features is an incredibly close shave, definitely one of the best you can get in this price range. Granted, the newer, more advanced and much more expensive razors will be better, but this one is no slouch either. I highly recommend it as a more affordable, budget-friendly option to the razors above. 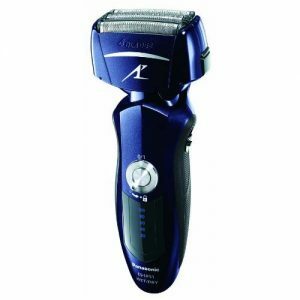 Another fantastic performer when it comes purely to closeness is again a shaver from Panasonic excellent Arc 4 family, the ES-LF51-A. Extremely similar to the ES-LA63-S presented above, the ES-LF51-A comes equipped with the same punchy 14 000 CPM motor, has 4 individual cutting elements and uses the same excellent 30 degrees nano-blades. 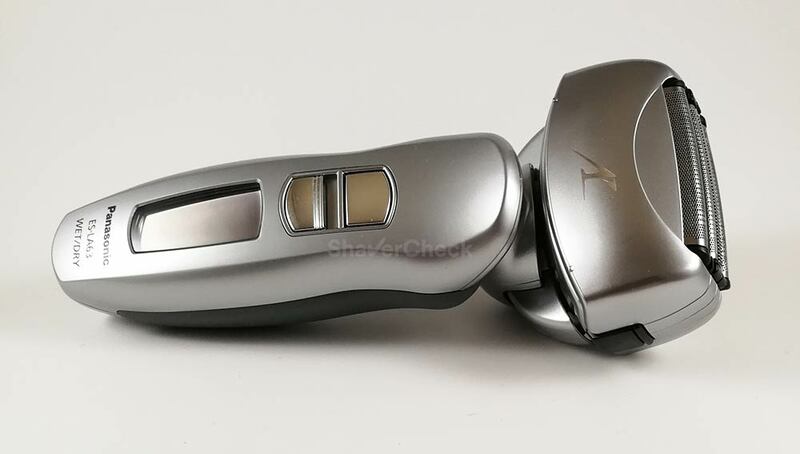 To keep the price low, it lacks the second vibrating motor located inside the shaving head. However, when it comes to getting a very close shave, that doesn’t really make a difference. Moreover, the shaving head of the ES-LF51-A is more compact, making the shaver a lot easier to maneuver. Unsurprisingly, the closeness provided by the ES-LF51-A is identical. And that’s a good thing. I would also recommend it over the ES-LA63-S to men just getting started with electric shaving as the smaller head makes it easier to use. Like all Arc 4 models, the ES-LF51-A can often be found at a bargain price. The Series 9 represents Braun’s flagship line of electric razors and incorporates the best technology the company has to offer. Braun’s electric shavers are notorious for being supremely comfortable during use. The very popular Series 7 790cc was for many years the benchmark in terms of comfort, but was often thought to be not quite as good as some of the offerings from Panasonic regarding the closeness. The Series 9 was designed to address this issue and to offer the closest possible shave, while also remaining very comfortable and gentle to the skin. And it pretty much lives up to the expectations. Being basically a Series 7 on steroids, with more blades, more power and more technology on board, the new Braun Series 9 builds upon an already solid foundation and represents a very compelling package. There are a few variations of the Series 9, suitable for dry only or wet & dry operation. They are also available with or without a cleaning station. My personal pick would be the 9290cc as it can be used wet & dry and comes with Braun’s excellent cleaning station, arguably one of the best in the industry. You can also check out my detailed review of it here. The shaving performance of the Series 9 9290cc is outstanding. So why only the fifth position for Braun’s range-topping razor? While it’s difficult to objectively say if it shaves as close as the Panasonics, in my experience it wasn’t quite as good. It was definitely more than adequate and I think most men will be perfectly satisfied with the closeness, but compared side by side, even the Arc 4 models were slightly better. Panasonic shavers are generally better at providing a closer shave, while Braun excels at comfort. And the Series 9 really is supremely comfortable and shaving with it is a real treat. If you have very sensitive skin, but still want a close shave, the Series 9 9290cc is probably the best you can currently buy. While a cleaning station was not really necessary for the Panny, you’ll definitely want one with your Series 9. A manual cleaning is fiddly and time-consuming and you never seem to get all the hair clippings and dirt out of the shaving head, no matter how thorough you are. The alcohol-based solution that provides excellent cleaning and lubrication, along with the reasonably quiet and fast operation make this cleaning & charging station a must have. The Series 9 gets a bonus point for the purchase price of the shaver, being lower than the one of the newest Arc 5 shavers. 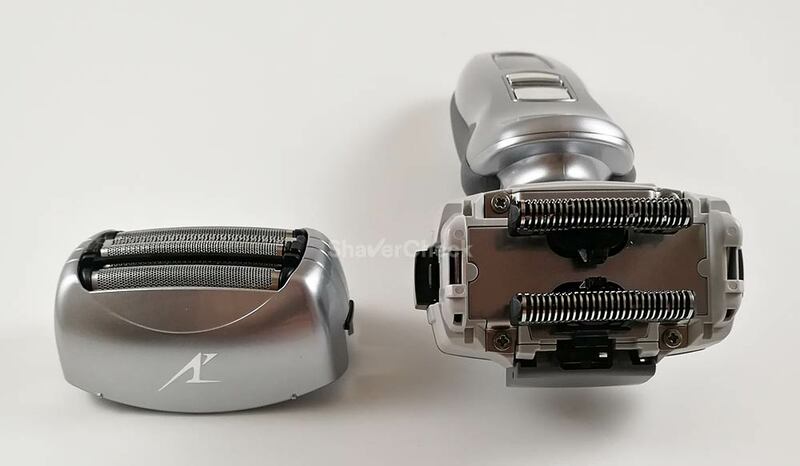 The cost of the replacement blades and foils (92s/92b cassettes) has also dropped significantly and the price is now almost reasonable (for a high-end shaver). I highly recommend the Series 9 for men with sensitive, blemish-prone skin as it is by far the most comfortable shaver on this list. Now that you’ve hopefully settled for one of the closest shaving electric razors out there, let’s see how you can make the most out of it. I wrote a comprehensive article on how to improve the closeness of the shave with an electric razor and I highly recommend reading that one as well. You can do so here. Try shaving with a quality shaving cream. All the recommended shavers in this article can be used wet and dry. Oftentimes the addition of a shaving cream improves the closeness and the comfort of the shave. Give it a try and see how it goes. Use a pre-shave lotion. If wet shaving is not an option, try the next best thing: a pre-electric shave lotion or powder. This can significantly improve the performance of your razor during a dry shave and help you get a closer shave. Properly charge, clean and lubricate your razor. This one is pretty self-explanatory. You can read more about how and when to lubricate your electric shaver here. Replace dull blades and worn foils. The foils and blades of your electric razor will eventually wear out and you’ll need to replace them with new ones. Always buy original replacement parts that were designed specifically for your particular razor. Spending money on replacement foils and blades is no fun, but it’s vital for a close shave and safe operation. Thank you for your comment, John. I’m glad you found the article useful. Thanks for the information. I am a DE blade Wet Shaver and looking to buy my first electric. Definitely want a Panasonic. Need help choosing between the 8243, LA63, or LV65. all three of them are actually pretty similar in this regard. 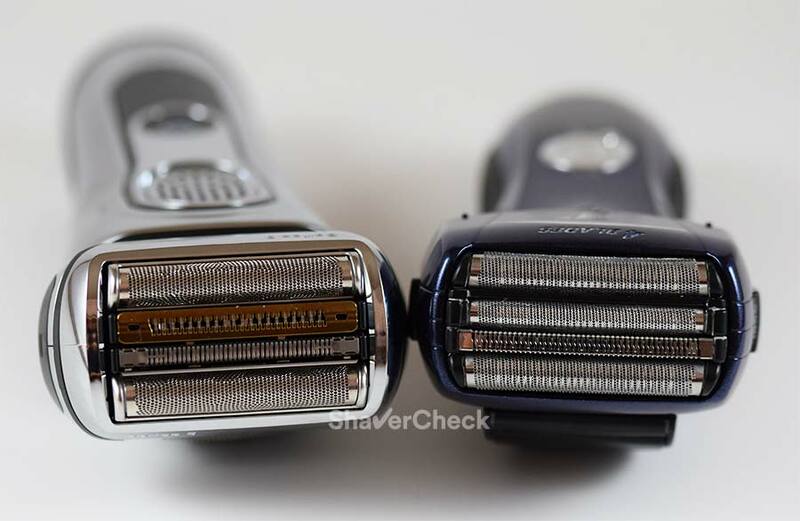 The ES-LA63-S and ES-LV65-S have a slight advantage over the ES8243S: a bit more power (14 000 CPM vs 13 000 CPM) and more advanced flexing shaving heads. The ES-LV65-S also comes with one extra blade. If you have the budget for it, I would say that the ES-LV65-S is the one to have for a very close shave. Whichever you end up buying, it will take some time to get used to it coming from a DE razor. Your skin must adapt to the new method of shaving and your technique needs time to improve, especially since the Arc 4 and 5 have quite bulky shaving heads – not exactly ideal for a first time user. Hi, this is a really informative article! I’ve been shaving with an electric shaver for years, but I’ve been always disappointed with the closeness. I’m currently using a Braun WaterFlex (it’s specifically made for wet shaving with a shaving cream) and it’s okay, but I still wish I had a closer shave. Now I’m thinking about getting the Panasonic ES-LV65-S, because I’ve read good things about it when it comes to close shaves. Have you ever tried a Braun WaterFlex so that you could compare these two? I’m sure the Panasonic will be better, but I wonder if the difference would be huge, or just minimal. Thank you for your comment. I have yet to try the WaterFlex, but for all intents and purposes the ES-LV65-S should be better. A lot better. 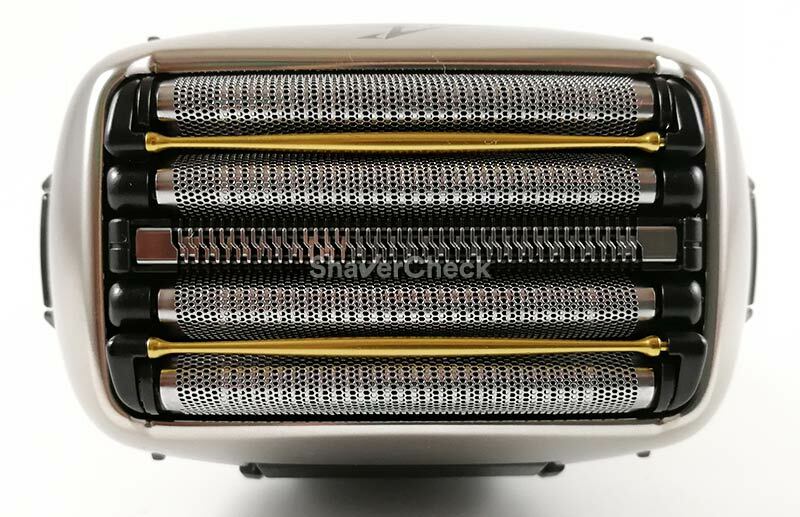 I try to stay clear of making assumptions without actually testing a shaver, but after trying quite a few I think I kinda have a feel for this and I would place the Braun WaterFlex somewhere between the Series 3 and the Series 5 with regards to shaving performance. I own all of them and at least in my case the closeness that I get with the ES-LV65-S is significantly better. It also works amazing with shaving cream. For me the Arc 5 is a worthy upgrade and probably for the majority of men as well. However, shaving is very personal and oddities can sometimes occur. Hopefully that won’t be the case if you decide to get it. Hi Ovidiu, thanks for the reply! I’ll think about it some more, but since I really want to be finally satisfied with a shave, I’ll probably get that Panasonic shaver. You are very welcome, Peter. If you have the time I would surely like to know your thoughts on the Panny. I’m really struggling to understand what is the best type of shaver to use on my head, will this go shorter than most clippers? Am I just better off using a razor, or will these take it down to pretty much nothing? 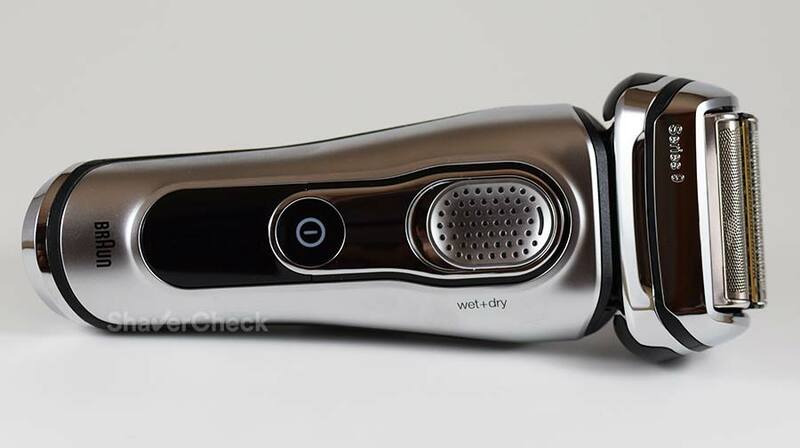 An electric razor will likely shave closer than a regular hair clipper. The ones in this list are particularly good at cutting hairs close to skin level. A razor blade will get you the closest possible shave, but at the expense of nicks and irritation. An electric shaver is an excellent compromise in my opinion. Thanks for your site and reviews. I’m always cautious of sites that do reviews, wondering if they have an incentive to favor a particular brand. 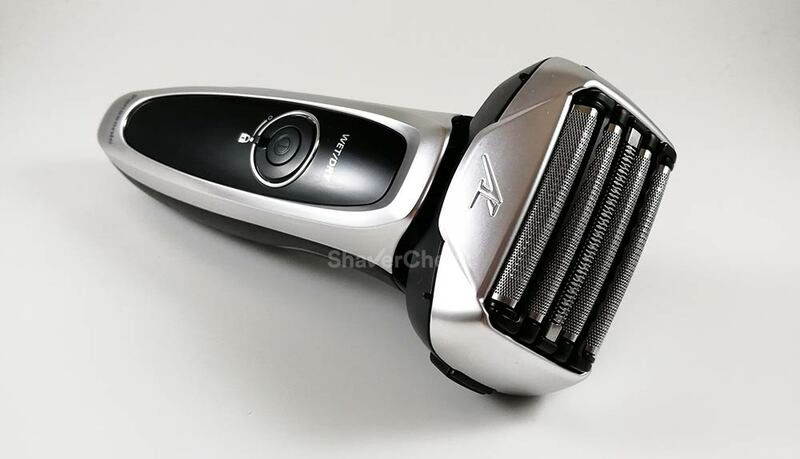 Do you or ShaveCheck have any support or incentive from Panasonic or any other brand of shaver? Thank you for your comment. I am not endorsed by Panasonic or other brand of electric shavers. I never received incentives from anyone and I will refuse any type of compensation. I personally buy all the shavers featured in the reviews and the content on this website represents my personal, unbiased opinion. If an electric shaver is plain bad, I will have no problem saying so as it was the case with this Panasonic for example. Or this Remington model. I will never compromise my integrity or present distorted information to my readers. Your articles are very thorough and I’ve tried your methods – the wet shaving but it went really bad – I cut and burned myself. But the dry electric lotion is great. I have acquired Braun 9290cc and I still have 2 months “give back money” quarantie. I imagined the closeness would be the same as Mach3 so I was disappointed. With lotion it is better but I still need to finish with my Mach3 to feel comfortable and not touching my face all the time. My question is – is there any sense in first dry-shaving and then using the regular to correct the results? Will my skin suffer? I’ve noticed my Mach lasts longer if I use dry shave first but I do not think it is worth it. I am considering returning the Braun because I like my face smooth and using both is too much but maybe it is something people do. I wish I checked your articles before buying but I had only few days to use my discount. I’m sorry to hear that your first electric shaver didn’t meet your expectations. Finding a suitable shaving machine always takes some trial and error. Switching back and forth between a razor blade and an electric shaver or using both at the same time is clearly not ideal. I would strongly advise against doing so. A razor blade shaves off a thin layer of skin cells which triggers the body to produce scar tissue. It takes a few weeks for the body to get rid of it. During this time you won’t get the best results with an electric shaver. That’s why the manufacturers always say to allow a few weeks for the skin to adjust to the new shaving method after making the switch to electric. Constantly getting back to your Mach 3 will keep this loop going. It would be best to pick just one — be it an electric shaver or a DE/cartridge razor — and stick to it for at least a few weeks and only then draw a conclusion and decide what to do next. Also, since you are particularly interested in getting a close shave, I think a Panasonic Arc 5 would have been a better option. Panasonics also work better with shaving cream. Since you can still return the Series 9, the Arc 5 would definitely be worth considering. Just remember that it takes some time for your skin to adapt and for your technique to improve. In the Netherlands I cannot buy Panasonic Arch5. Maybe because they try promoting the Dutch Philips but still I think it is not for me as I have the time to wet shave. I will return the Braun and stay with Mach3 as it gives me no cuts and this tiny margin of lack of closeness irritates me. But this is me. My friend uses the same old electrics for years without changing the blades and is very satisfied. It is good it works for you as it is a great experience to use a fancy electric machine. 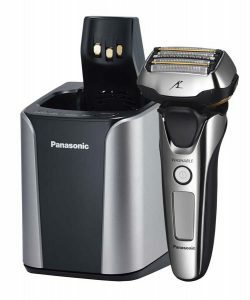 I have the Panasonic ES-LA63-s Arc 4 shaver and it’s great. I was using the Braun 799 because I have sensitive skin areas. 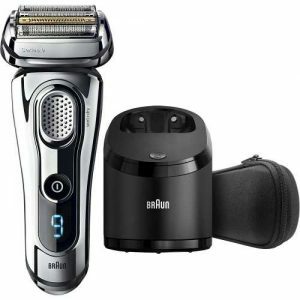 I noticed that I wasn’t getting a close shave like I get with the Panasonic ES-LA63-s so I stopped using the Braun 799. Lectric Shave lotion for pre-shave prepping. I actually have the same problem with the ES-LA63-S, it is a bit too aggressive for my skin during a dry shave. The ES-LV9N-S is more comfortable compared to the Arc 4 line — not by a whole lot, but it is. The foils don’t get as warm and the rollers do seem to help as well. It’s still not as comfortable as a Braun Series 9 or even 7 though, so it would be difficult for me to say how much of a difference it will make in your case. Thank you for your reponse. Do you get a real close shave with the Braun Series 9 or is the Panasonic ES-LV9N-s that much closer because I do press a little hard on my skin. The Series 9 doesn’t shave quite as close as the ES-LV9N-S, but for me the closeness is good enough. 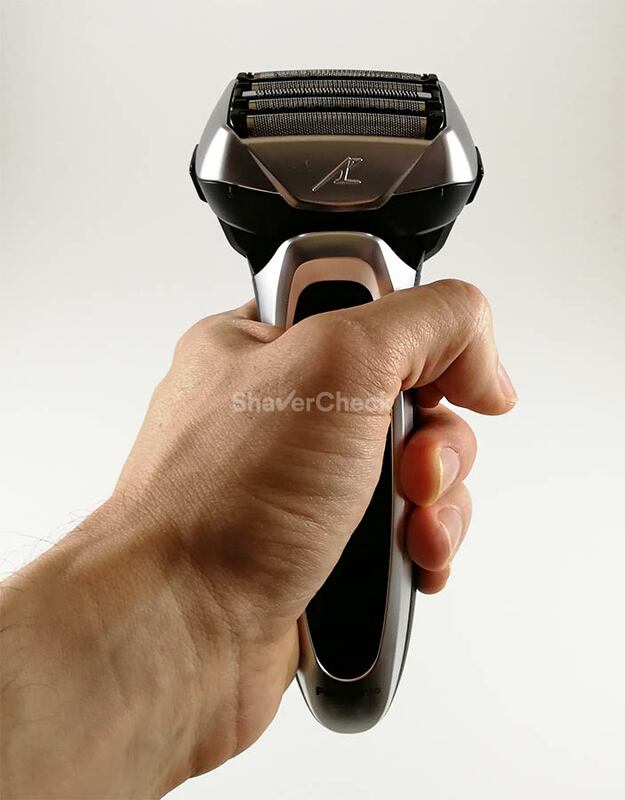 With the Series 9 I can shave dry with virtually zero irritation, it’s extremely forgiving and better than the Panasonic for flat-lying hairs, particularly on the neck. As you can see none of them is perfect and you’ll have to make some sort of compromise and decide which one would be more beneficial in your case. I brought the Braun 9295 and I get as close a shave as I did with the Panasonic ES-LA63-s Arc 4 with minimum irration. The reason why I brought the Braun 9295 instead of the Braun 9290 was the price. There was no real difference in the price so I brought the higher number model. Thinkiing I’m will be getting a better shave but what I found out is you still get the same shave. I’m glad I brought the Braun 9295. I can deal with the chrome finish. Only difference between 9290 (silver) and 9295 (chrome) is the color. The Panasonic ES-LA63-s shaves closer than the Braun 9295 but the Braun gives a nice none irritating shave which I like. The #1 choice is no longer available. Sad. Do you have a replacement #1 that is just as good? The ES-LV9A is still available, or better yet, the newer C and D revisions of the Arc 5 range. I wrote a detailed article on them here. I will also update this list with the newly available models.